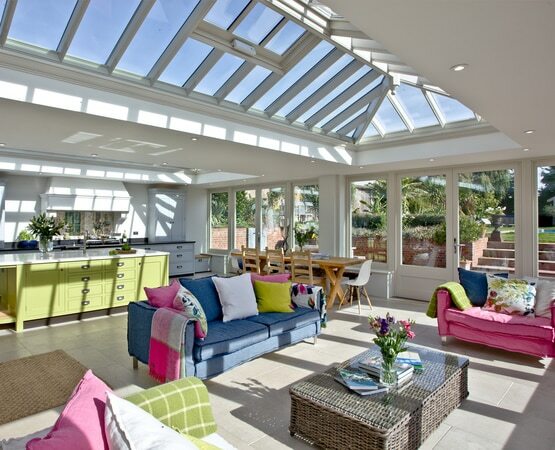 Designed for relaxing and entertaining guests, this stunning orangery provides a bright and spacious kitchen, dining and soft furnished living area where the homeowners can enjoy expansive views of the gardens and pool. 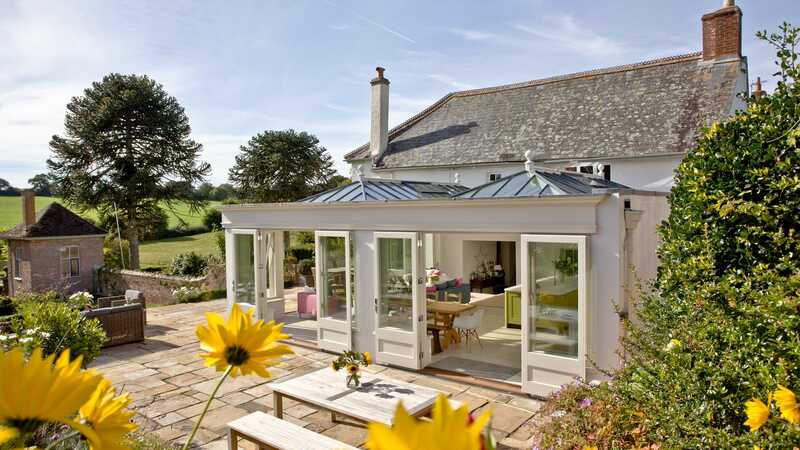 With two large roof lanterns, folding stacking doors and French doors, this finely crafted glazed extension has completely transformed the rear of this listed country property. Originally, the back of the house featured a very small entrance porch, which was not in keeping with the architecture’s proportions and did not balance with the rest of the building. 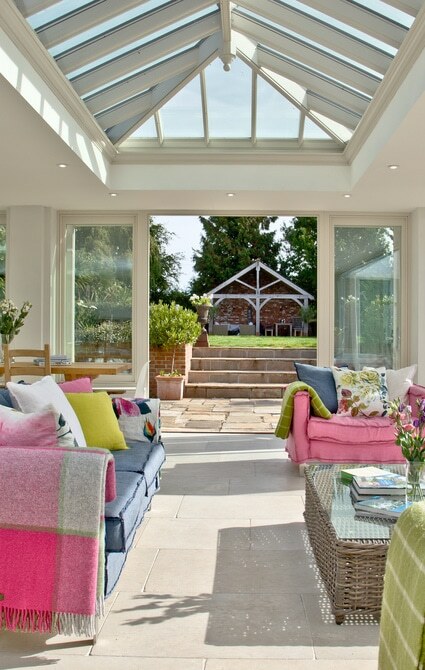 It was important that the new orangery extension would work in harmony with the main home, blending into the period architecture while creating a large open-plan room that flowed through onto the beautiful natural stone patio outside. 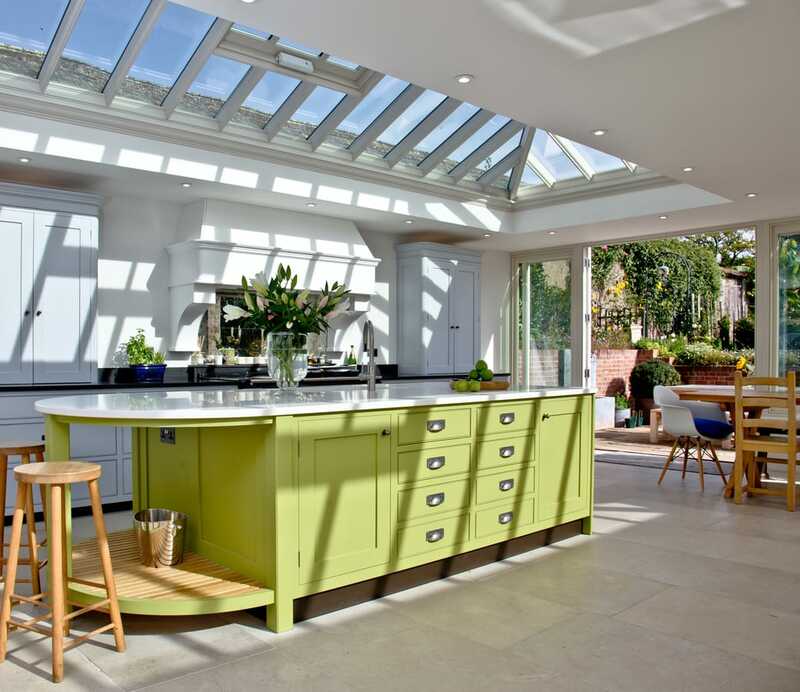 Taking into account the homeowner’s desires for the new space, along with the layout of the existing house, our experts designed a bespoke timber-framed orangery with a parapet fascia design, folding stacking doors, French doors and two large roof lanterns. As the property is a listed building, we took over the planning permission and listed building consent process on behalf of the client. 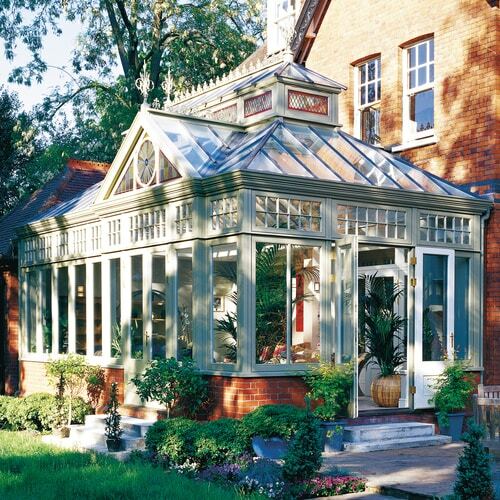 Due to the challenging ground and drainage levels which can be common in period homes, the orangery floor level was raised three steps up from the floor level of the main hallway. 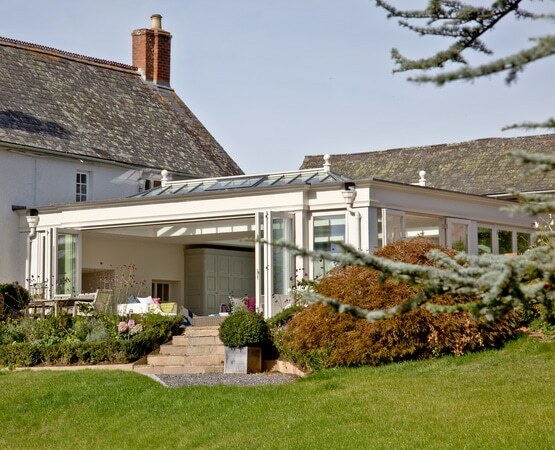 The clean, modern lines of the extension add dramatic contrast to the period property, but the walls are rendered in order to match the main house, and the whole extension is painted inside and out in Wash White, which enhances the property’s unique character. 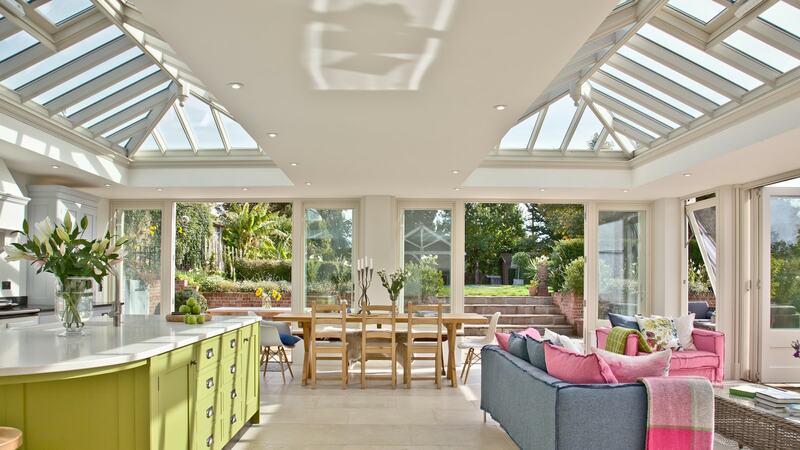 The homeowners now have a classic, light-filled space which is perfect for relaxing together as a family or entertaining guests all year round. 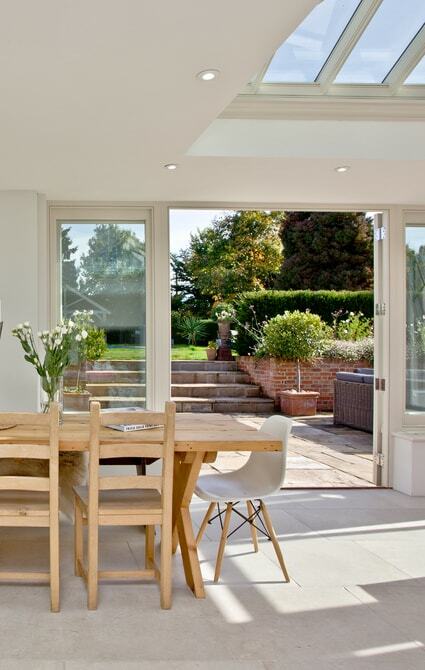 The bi-folding doors maximise on the light and avoid obstructing the views of the garden and can be opened up as the weather gets warmer, merging the indoor and outdoor areas into one expansive space and helping the home to feel more connected to the beautifully tended garden outside. 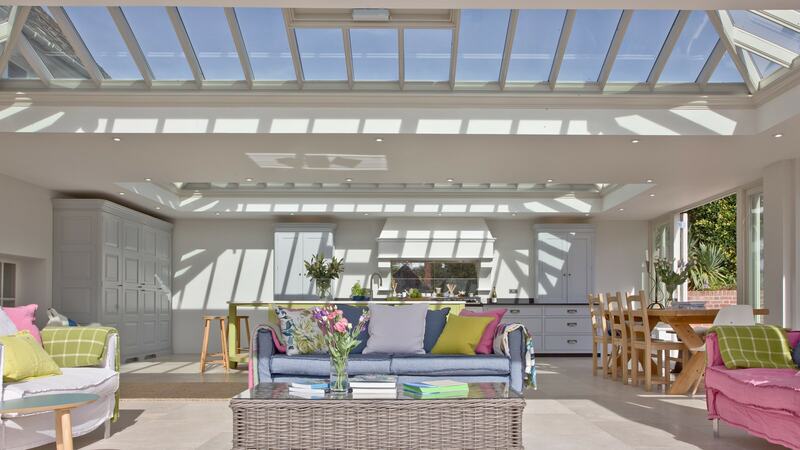 The two spectacular roof lanterns are an architectural feature in their own right, commanding your attention as soon as you walk into the room. 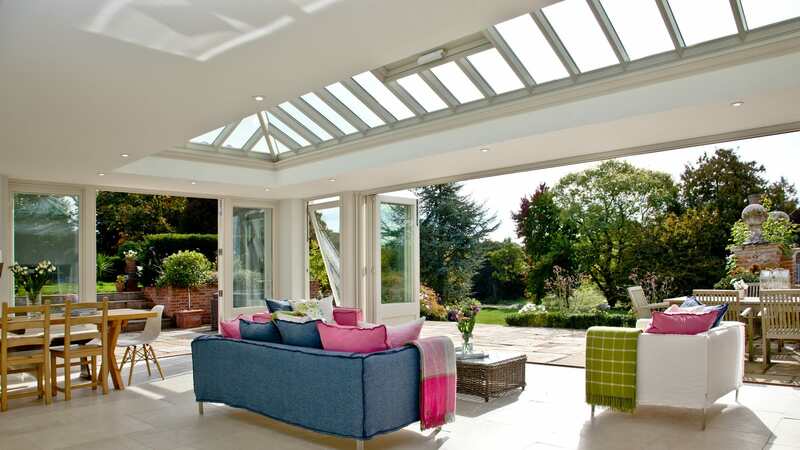 Two automatic, thermostatic double air vents in each lantern help to maintain a comfortable temperature, opening when the room warms up to draw the hot air up and create air flow, and closing as it cools or when the first drops of rain are detected. 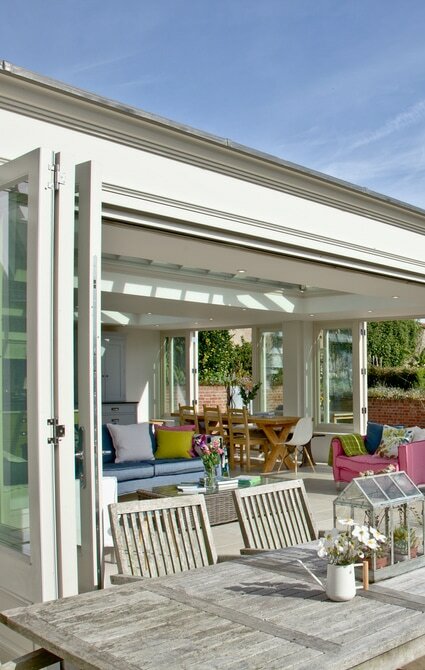 Large double bi-folding doors can be opened during the summer months, leading out onto the new paved seating area and connecting the orangery with the green lawn and farmlands beyond.